Universal Pictures has released yet another trailer for director David Twohy’s upcoming sci-fi sequel Riddick. The film finds Vin Diesel’s titular character being hunted by mercenaries, and once again, they’re hopelessly outmatched by the anti-hero who can see in the dark. But the mercs and their bounty are forced to team up when lethal alien monsters attack. Everything we’ve seen from the film thus far hints at a movie closer to Pitch Black than The Chronicles of Riddick, and this trailer is no different—though it covers much of the same ground as the restricted trailer that was released during Comic-Con. Hit the jump to watch the trailer, and if you missed it, click here to check out the motion comic prequel to Riddick. The film also stars Katee Sackhoff, David Bautista, Jordi Mollà, Matt Nable, Bokeem Woodbine, Raoul Trujillo, Nolan Gerard Funk, and Karl Urban. 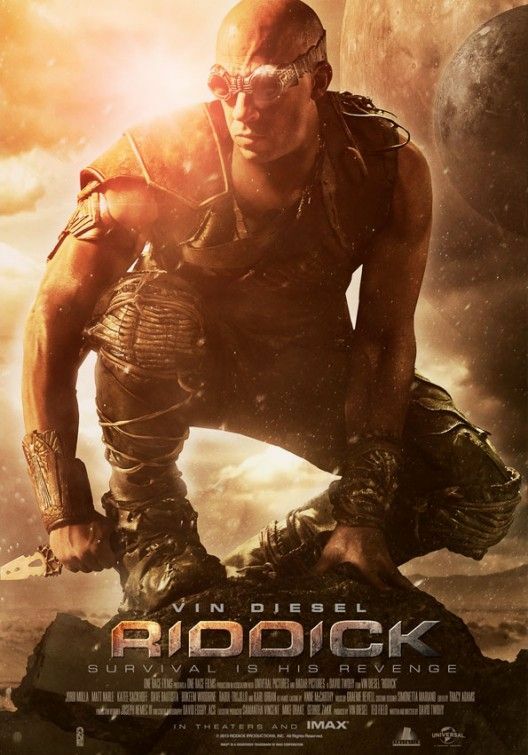 Riddick opens September 6th.